Doro Digger multi system for dredging, excavation and cutting applications.The construction is made out of high-tensile steel which by a low weight and high strength improves the performance. Doro Digger is specially designed for Truxor to maximize lift height, working depth and reach. The arm has built-in mounts for the additional accessories. Doro Digger has twin hydraulic cylinders for the boom swing, giving solid power and making the work efficient. Doro Digger is offered with a number of tools for different applications, such as buckets, dredgepump, flail mulcher, cutter knife and saw head. Dredgeing becomes more efficient and the working range is increased with the Doro Pump V3 mounted on to the Doro Digger. The Doro Pump V3 has been developed with a new intake system, it has a rotating head which gives an even flow of material to the Doro Pump. The new ESM 1500 cutter knife is designed for the Doro Digger, giving a working width up to 11 meters. 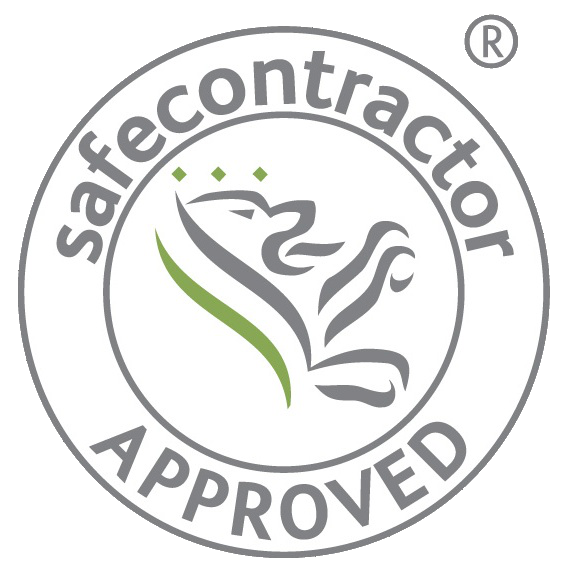 This minimizes the need for movement of the machine in sensitive areas. The ESM 1500 has a direct-mounted hydraulic motor for increased cutting performance. Max. digging depth 3,0 m. Max. digging height 2,9 m.
Max. dredging depth with Doro Pump 3,5 m.
Max. digging reach 4 m. Max. rotation 180 °. Max. reach standard outrigger pontoons (for digging), 1 m.
Max. reach optional outrigger pontoons (for dredging), 2 m.
Bouyancy of outrigger pontoons 2 x 130 kg. Hydraulic valve controlled by two joysticks. Semi-automatic quick bracket, model DM X3 for quick tool change. 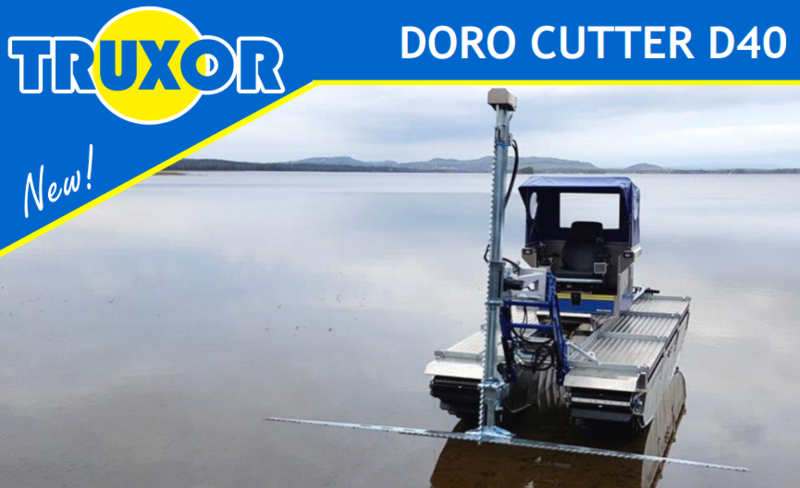 Doro Digger is delivered with standard outrigger pontoons (for digging ), mounting hardware and lifting tool. With the excavator arm mounted the Truxor is ideal for digging channels, removing silt around sluice gates, water inlets and outlets, even cable laying. The excavator is operated from the driver's seat using a two lever attachment on an adjustable central consol directly in front of the operator. The Excavation aggregate is suitable for Truxor DM 4700B and Truxor DM 5000. Valve package - with a two-lever system for turns, lifting, bucket and beam. The excavator aggregate is delivered with a 23-litre bucket and support legs. Complete for mounting on Truxor. The miller, with adjustable working width's, is used as a restoration tool on reed beds, wetlands, shorelines or lake beds. The different millers are interchangeable and can be detached from the operating unit which is mounted on the Truxor's lift arm.